At Cycle-Ops believe strongly in Custom Bikes and Frames, with carefully selected components to suit– as the way to the perfect bike, giving you the best fit, the best handling and ride quality. The design of your Custom Frame starts with the parameters and information arrived at from a Cycle-ops Bike Fit done in our fit studio. This will inform not only the shape of the frame, but also the material used, and the relative material weight required in the build. Stiffness, lightness, durability and aesthetics – steel, titanium, titanium/carbon mix or full carbon are all options your Fit Consultant will discuss with you, to help you choose the Right Frame. Once the we have reached a decision on these details, a draft of your custom frame and a CAD drawing are created for us by the frame builder to” first draft”. This is then discussed between us again, and referenced back to the frame builder to fine-tune and hone the final design as necessary, prior to proceeding with the build. This drafting process not only ensures that there is no compromise in terms of final position but also that your weight-distribution will guarantee perfect riding dynamics. 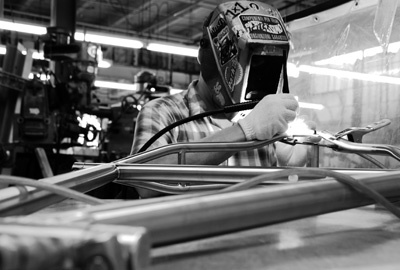 After you have selected the frame, you will of course want to get it built into a bike. 1/ Swapping the parts from your existing bike onto your new frame, servicing and upgrading some components at the same time as required. 2/ Specifying a whole new bike built around your new frame. If this is your route we will work with you to achieve a spec that suits your needs – and looks great! We can supply pretty much any Groupset, Wheels and Finishing Kit, to help achieve the perfect bike for you! To find out more about our Custom Frame and Build options, call us on 01732 500534 or email us to arrange a visit In-Store, and let us help you join the growing number of people who are benefiting from superb handling, individually designed and hand made Custom Frames.